Just an eight hour drive North of Dana Point and the most beautiful colors of autumn that you could ever hope for awaited us in Napa, California. It rained through the night and there was fog in the hills, but the sun came out and it was the most beautiful Thanksgiving day. The colors were amazing . . . everywhere you looked, something was blooming. We've had some memorable Thanksgivings over the years...a lot of them spent with family and friends and cooking big feasts, but others just as memorable where we've traveled and made it seem like Thanksgiving...even on the train from London to Paris, or this one, where it wasn't until Thanksgiving morning when my husband had made several calls to make reservations for our Thanksgiving meal. This time of year always reminds me of what I'm most thankful for. . . my family. I hope you and your family had a wonderful Thanksgiving. . . wherever you are. This looks like a great Thanksgiving getaway! 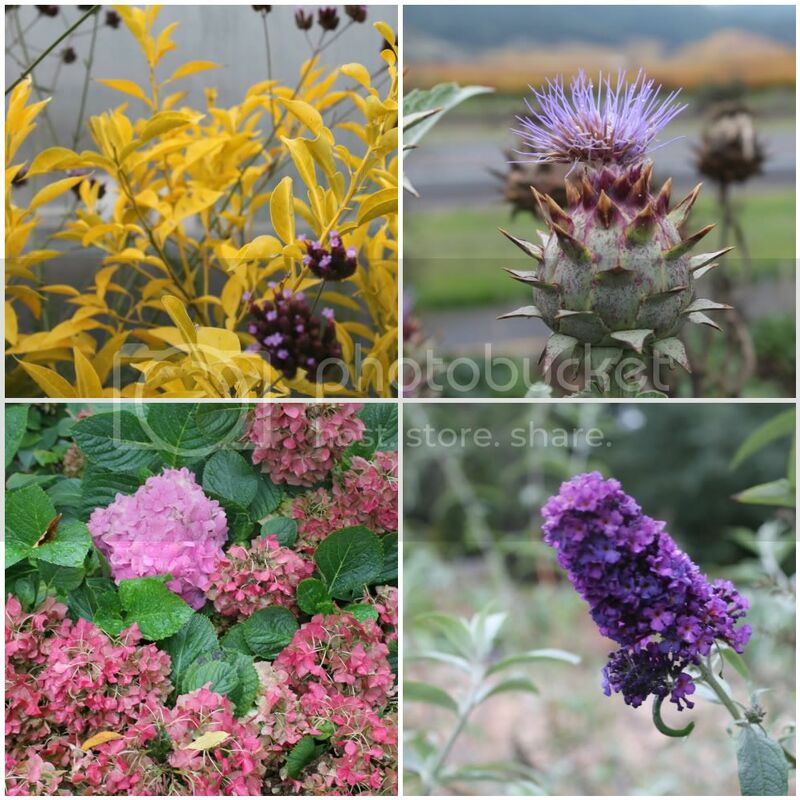 Love all the fall colors - ours are drifting away already! I agree - as long as you are with the ones you love Thanksgiving can be special anywhere! Really lovely photos! I was there a few New Years' ago and loved it. LOVED IT! The mustard that they plant between rows of grapes was all in bloom and it was beautiful. And I had two or three of the best meals of my life there. What a great place to spend Thanksgiving! Everything looks so lush and gorgeous, I think vineyards are so romantic. Those grapes look amazing, and I didn't know grape vines turned fall colors. Must have been a lovely holiday. Oh how wonderful. My husband and I went to Napa in January and it was even beautiful then. I hope you had a nice Thanksgiving. What a beautiful post! Your photography is amazing. LOVE everything! You did such a fantastic job of capturing the beauty up here with your photos. They look straight out of a magazine! I am so pleased to hear your trip was so lovely. Oh Annie these are lovely images, what beautiful scenery. It looks like a wonderful place to spend your family gathering at Thanksgiving. I hope to visit Napa one day with my husband and this post makes me want to plan a trip soon! I haven't been to the Napa Valley for such a long time. I would love to go there for our 40th wedding anniversary in a couple years. Your photos are beautiful, Annie. To answer your question about glassybaby...I have never been to the sample sale. It's such a popular event that the lines to get in are usually featured on our local news broadcast. I hope that I am able to attend next year. Thank you for sharing your Thanksgiving day! I love Napa, Calistoga, Sonoma, Point Reyes, basically the whole wine country in general. Once the kids are in college my husband and I are packing up and moving north. We love the simplicity and open space. We spent the day in Point Reyes and I was in utter bliss. It's just so simple, peaceful and beautiful out there. How did I miss such loveliness? I am now inspired to look at my day with new eyes. Napa is one of my favorite places on earth! What an incredible way to spend Thanksgiving with your family. So beautiful! 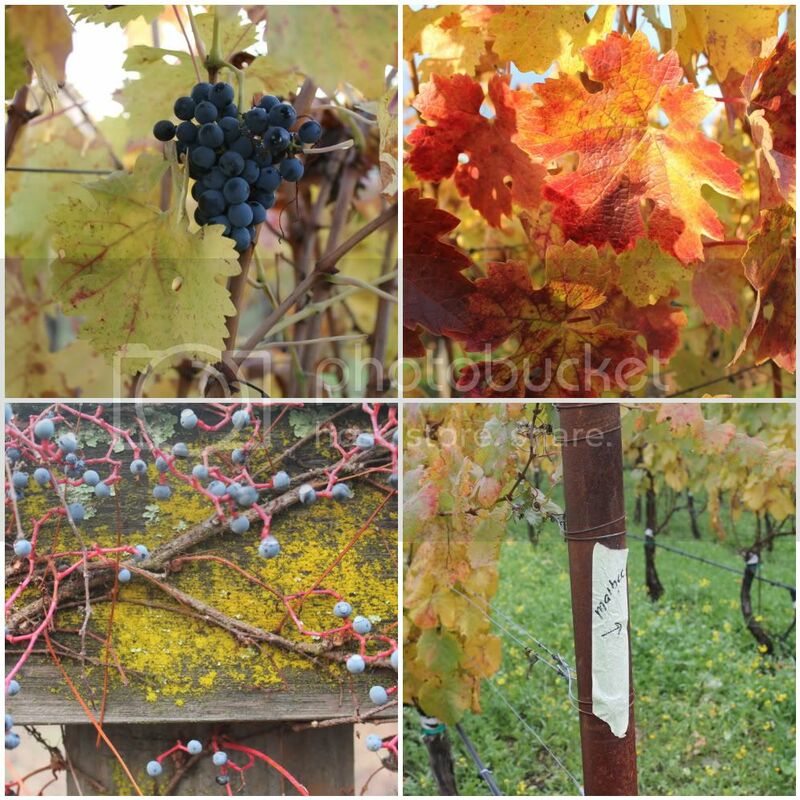 Annie- Great Thanksgiving Post with your Family in Napa! Your photo's are professional quality... looking forward to your coffee table book!!! Agree with the other comments... such a professional looking job on the photography! Lucky you being able to spend Thanksgiving in such a gorgeous place. We stayed in Sonoma this summer but only made it to Napa (drove up to Calistoga) one day. Next time we decided we will spend more time there, maybe when it's cooler as well. Your trip looks so beautiful - I am green with envy :)! By the way, your blog design looks super fabulous as well - love the black and white bold but clean look of it. This is soooo beautiful. Loved the photos. Although our snow melted last week as a result of warm temperatures, it no longer feel autumny around here. What a treat to see such loveliness! You definitely live the GOOD LIFE, Annie! And you are a great photographer. Lets meet for coffee again after the holidays! Annie - you are my latest inspiration! Just "surfed" onto your blog today and read down to this post. We're neighbors! I am on the hill above Capo Beach. Would love to ask you some questions on setting up such a beautiful blog design. I am still learning how to...many steps behind still.